Direct2D *IS* drawing 3D shapes using an orthographic projection. GPUs don’t know anything but 3D. Problem: I’ve downloaded the latest version of SharpDX and SharpDX.Direct2D1 doesn’t contain a class “Device”. Question: In many places the is an argument “Intptr nativePointer” — what should be put in there? Hello Jace, I think SharpDX only supports Direct2D 1.1 – this means that you need to use the assemblies for DirectX 11.1 and upwards, so check that you are using the correct ones (and you are using Windows 8 or Windows 7 with SP1). The best way to do it is by installing it from the NuGet packages, since the install script does everything automatically. About the IntPtr argument in the constructors, you shouldn’t be using those overrides unless you really know what you are doing; they are used internally by SharpDX to create managed objects from the native DirectX pointers. As for the Windows Forms controls, there is no need to do it from scratch! SharpDX has both a RenderControl and a RenderForm inside the SharpDX.Windows namespace. Good luck! How do you remove form borders? Hello rimsey, which form borders are you referring to? This tutorial is for Windows Store apps. Are you using SharpDX with Windows Forms or WPF? 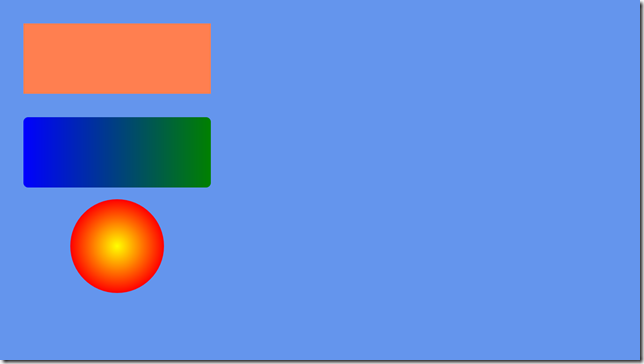 Windows forms – I basically want to upgrade a pong project (it just uses rectangles) to directx. The windows c# version I did uses double buffering but the ball stutters. How about making the edges glow in the primal shapes? Any ideas? Basically wanting an old black and white crt look but cant seem to find a way.